The 2019 – 2020 school budget will soon be finalized – we are anticipating a tuition increase of 3% - more information about tuition and fees will be distributed as soon as possible. The search for a head football coach is underway - a number of applications have been received and interviews are being scheduled. We celebrate Mass with our local deanery schools during Catholic Schools Week. Spring and summer will be here before we know it, our maintenance staff has been busy identifying specific areas of our facilities that need our attention. The school’s exterior needs to be painted and some tuck-pointing will need to be scheduled as soon as winter breaks. Some of our cafeteria kitchen equipment will need to be upgraded and/or replaced soon. These are only a few things that will need to be addressed in the short-term. I will keep you posted with additional information as we move forward. My commitment to Marian Central Catholic High School remains strong and I am confident we will continue to provide a solid spiritual, academic, and athletic programs to the students and families we serve. My next newsletter is scheduled to be published at the end of February. Thank you for your continued support and dedication to Marian Central Catholic High School. I am proud to be partnering with you in providing Catholic Education. Earlier today, we sent an email detailing our most recent decisions on extra-curricular events happening around the school this weekend, as we monitor the forecasted snow-storm. Unfortunately, we have been experiencing difficulties with our bulk-emailing system tonight with that email, as well as the email to push out this Friday Focus. You may have noticed the newsletter is already available on Facebook and Twitter, but may not have landed in your email until now. We apologize for that delay in communication, or the multiple emails you may have received! Friday Evening: we went ahead with practices/rehearsals as planned - making sure all ended by 5pm. Any students who wanted or needed to be home before then, for peace of mind, would have an excused absence from practice or rehearsal. Saturday: Musical rehearsal is cancelled. However, since athletic events involve various schools and IHSA, we could not make that determination at this time. Mr. Price and the athletic coaches will monitor that situation closely, and those teams affected by tomorrow's storm will be contacted directly should anything change. Monday: Musical rehearsal will proceed as planned. Naturally, we take into account multiple weather-radar sources and recommendations from the Emergency Management of McHenry County. With the amount of snowfall and increased winds and drifting - we want to err on the side of caution when it comes to our students. Thank you for your understanding! As our brothers and sisters march in witness to the dignity of human life, help us to reflect upon the reasons for this undertaking. 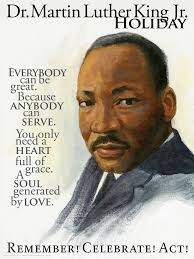 Let our desire for justice and dignity for all human life strengthen our resolve. May we be examples of faith, of hope, and of love, so that others may be strengthened and enriched by our presence among them. Remain with us, Lord, and guide our steps along right and peaceful ways. Click on date below for daily Scripture Readings! 7:00 am - 9:00 pm: Great Lakes Junior Varsity Fencing Championships - Still ON, but monitoring the weather tonight! Athletes & Families will be notified by AD office if status changes! 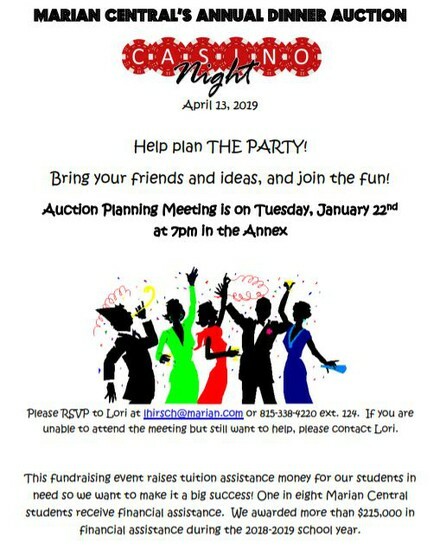 7:00 pm: MC Auction PLANNING MEETING in the Annex - All Welcome! 7:00 pm: Girls Var Basketball vs Alden Hebron - SENIOR NIGHT! Check out our detailed Athletic Calendar for all practice times, team dinners, and "Away" games for this week! For a detailed calendar of all MCCHS Clubs & Organizations meetings and events, please see our Clubs & Organizations Website! Bring your friends and ideas, and join the fun! Please RSVP to Lori at lhirsch@marian.com or 815-338-4220 ext. 124. If you are unable to attend the meeting but still want to help, please contact Lori. ATTENTION SENIOR PARENTS: Come Help Plan the SENIOR BREAKFAST! Our graduating class will be celebrating their Senior Breakfast on Monday, May 20, 2019. We realize this is still months away - but it takes a lot of planning and coordination to make it memorable for our students! We are hosting a Senior Breakfast Planning Meeting on WEDNESDAY, JANUARY 23rd at 7:00 pm in the ANNEX. Please consider joining us as we brainstorm themes and ideas for this celebration! PLEASE NOTE THE DATE CHANGE OF THIS MEETING! Originally scheduled for Jan. 16th - it has been moved to JANUARY 23rd! If you have any questions or concerns, please don't hesitate to reach out to our Parent Association President, Mrs. Lori Lee at ll524@comcast.net or give her a call at (847) 309-0702! We are so excited to work together to make this the best Senior Breakfast! 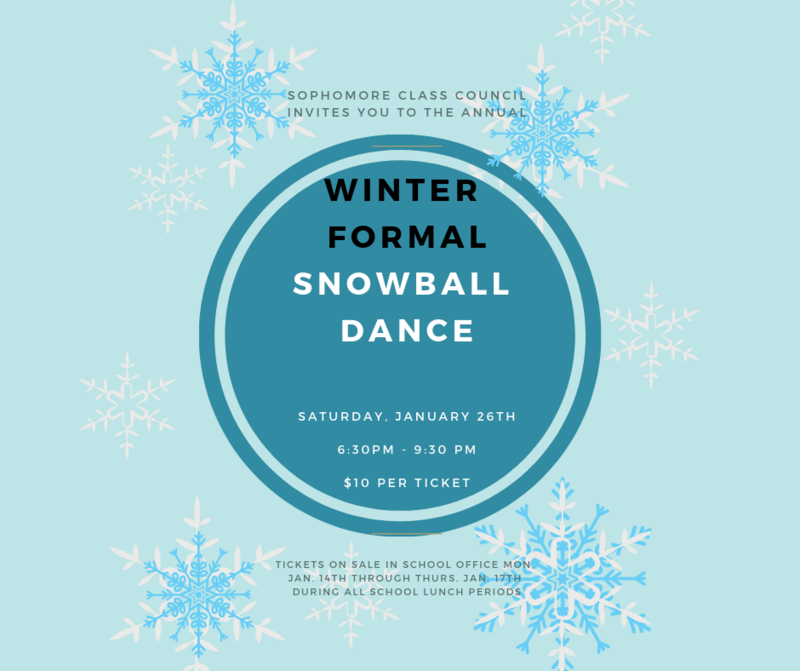 Our Winter Dance is coming up at the end of this month! The dance begins at 6:30 pm and ends at 9:30 pm. Please have rides ready for pick-up. We will not allow students to enter the dance after 7:15 pm. Students leaving the dance prior to 9:00 pm must check out with the chaperone at the door. Students are not allowed to bring bags into the dance - please plan accordingly. Please refer to our Dance Dress Code and respect our policies regarding appropriate attire. Students who are in violation of our reasonable attire guidelines (or whose date is in violation) will be issued detention, and may be denied entry into the dance. St. Thomas is hosting a Suicide prevention Training Workshop, being put on by the McHenry County Crisis Team / Department of Mental health. Each day across the US over 3,000 high school students attempt to commit suicide. 4 out of 5 of these students showed warning signs in advance. St. Thomas is offering a QPR Suicide prevention training to help parents and teens recognize the warning signs of suicide in friends and loved ones. WHAT: An opportunity to learn about starting a college search, financial aid, and choosing a major. Students and families will also attend a question and answer session about college admission with a panel of college admission officers. Freshmen, sophomores, and juniors and their parents/guardians are invited to attend this program. We strongly encourage juniors and their parents/guardians to attend College Information Night. We’ve put together a comprehensive program we’re confident will provide students and their families with insight into some of the most complicated and confusing parts of the college search. We ask that those planning to attend this program please register online at: https://goo.gl/forms/pgZWJF5z8ye4jaQg1. 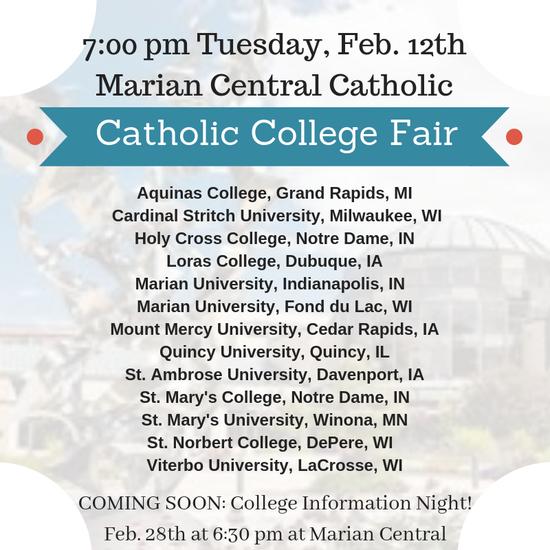 Please direct any questions about College Information Night to Mr. Stamatakos (jstamatakos@marian.com) or Mrs. Diamond (guidance@marian.com). We look forward to seeing you on Thursday, February 28th! We’re right smack dab in the middle of the time of year when students and parents start getting worried...and I mean really worried over the impending cost of college. CLICK HERE TO REGISTER FOR SPRING SPORTS! If your student plans to play a SPRING SPORT, registration is NOW OPEN! Parents Meeting will be Tuesday, February 19 at 7:00 PM! At the beginning of the year, we shared with all seniors during a class assembly the new exam exemption program we began with last year's class. We want to encourage our seniors to finish their high school career strong, reward students who have been working so hard to be a great student in every aspect, and perhaps even ease a little exam anxiety towards the end of the year. Last year was a great success and we received positive feedback from students, teachers, and parents. Please read through the 2018-2019 Senior Exam Exemption form. Seniors will be responsible for printing, completing, and submitting this form for consideration. Senior students must be passing their course BOTH Quarter 3 and Quarter 4 with a minimum 91% (rounded) B+, in order to waive out of that respective final exam. Senior Students have the option of taking their final exam, if doing so increases the chances of earning a better grade. Senior students must have accumulated NO MORE THAN three (3) detention hours over the course of the entire 2018-2019 school year. Senior students must have a minimum of 94% attendance rate (no more than 5 excused absences) for second semester. Senior students must have no more than 5 excused absences for the class during second semester. Extended medical situations approved by the administration and/or medical emergencies supported by medical documentation will not count towards the excused absences, tardies, or early dismissals. School-sponsored absences, such as spiritual retreats, administrative-approved field trips, and school-sports early releases will not count toward the attendance criteria. We did have several students appeal exemption decisions last year since they knew a grade was in progress. This worked out very well - and we were able to approve a few more exemptions as a result. Students may appeal if they do not receive preliminary approval for an exemption- or know in advance that a grade needs a second look (for pending grade change.) We review all appeals and watch those grades closely. Appeals were mostly regarding grade-update issues and a few unique attendance situations. Discipline appeals, however, will not be considered. For the sake of clear, advanced communication to students and teachers, the appeal deadlines are firm and all appeal decisions are final. Marian Central has received an exclusive invitation to be part of a private, invitation-only concert in Woodstock. Tickets for 2019’s hottest concert of the year at Bunker Hill Farms are now on sale. 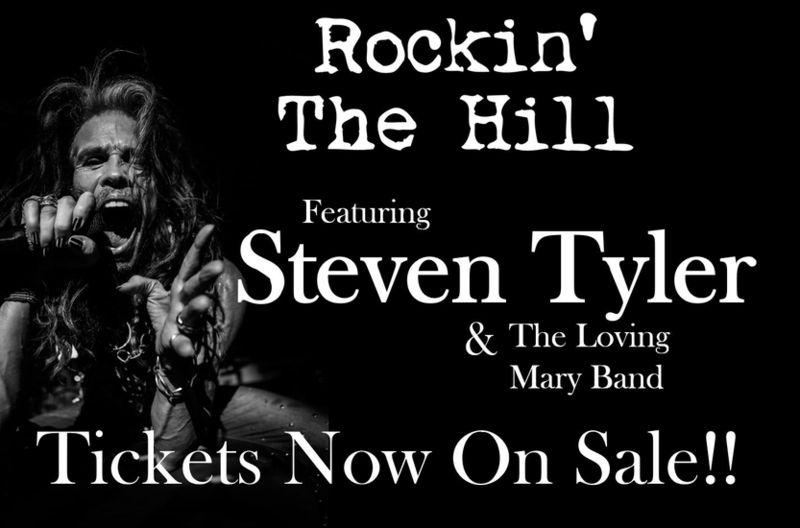 Don’t wait and miss a chance to see Steven Tyler & The Loving Mary Band at Rockin' The Hill on July 27th, 2019! Get your tickets now and start planning for what’s going to be the most talked about night of 2019! Please note this is a private event and we ask that you not share this broadly with your network, but rather with key people who you feel will support Marian Central and would enjoy this exclusive event. Bunker Hill Farms strictly prohibits any mention on ANY social media platform. 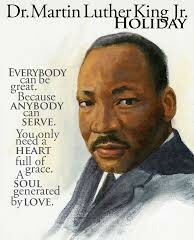 Bunker Hill Charities is granting 100% of all ticket proceeds to local charities so make sure to type in Marian Central when you are prompted to answer how you were invited. Marian Central is blessed to have incorporated into the curriculum FORMED on Demand which is an Internet-based subscription service offering access to thousands of studies, films, audios, and eBooks. Join Now! 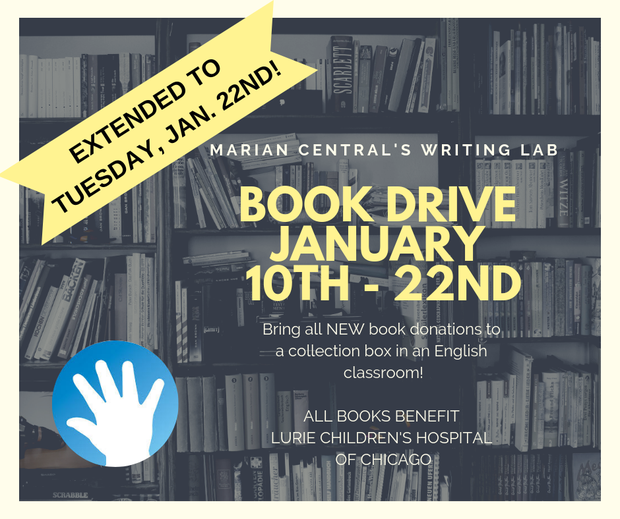 Visit the Marian Central Website! All announcements, schedules, and forms are published on our Marian website for your convenience! After any new announcements are broadcast via email, we make sure we post a permanent link to the information on our website for your reference.